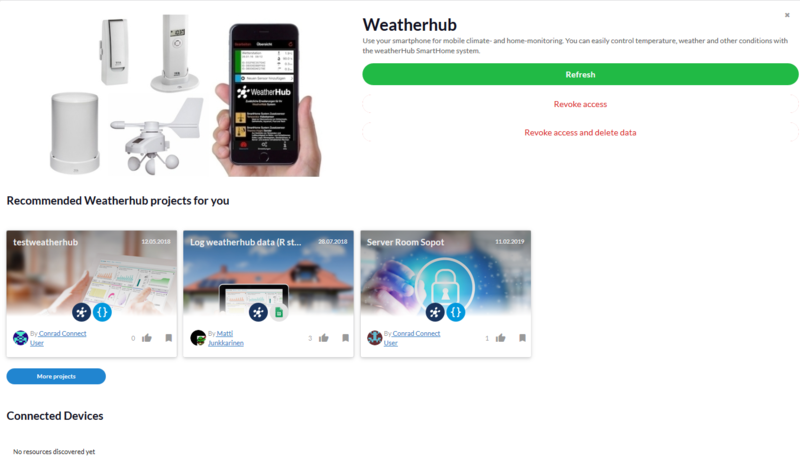 Weatherhub Incident reported : do I need to open a service request for this issue, and how ? The Weatherhub device reports an incident in the "System Status" of Conrad Connect. When will it be in order again ? Do I have to open a Service Request, and how ? Hi @Irvin, I'm going to pass this along to our technical support team, thanks for reporting! 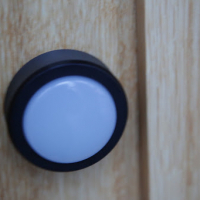 Hi @Irvin, we have tested the WeatherHub integration, it's all working on our side. 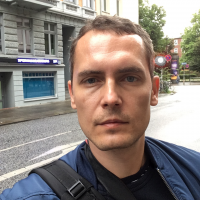 Have you already tried to connect Weatherhub to Conrad Connect? I thought that it was because of the incident. 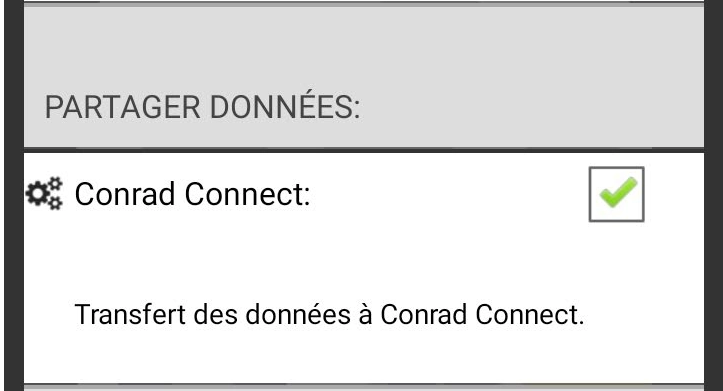 I'm a perfect beginner with "Conrad Connect" ! It says there are no connected device, is that normal ? Hi @Irvin, thanks for the details. May I ask if the Weatherhub sensor appears on the Dashboard? Just start a new dashboard and add the Weatherhub sensor(s) to it. Do you get meaningful readings displayed? I can give you my user/password to access to my project. Is there a private way to send you my account/password ? @Irvin, did you activate in the weatherhub App settings the checkbox 'Conrad Connect' to allow data transfer to Conrad Connect? @Irvin, please don't pass along any private information. You can simply publish a project and then pass me the URL to the published project. You'll find the checkmark for publishing once you save a project. 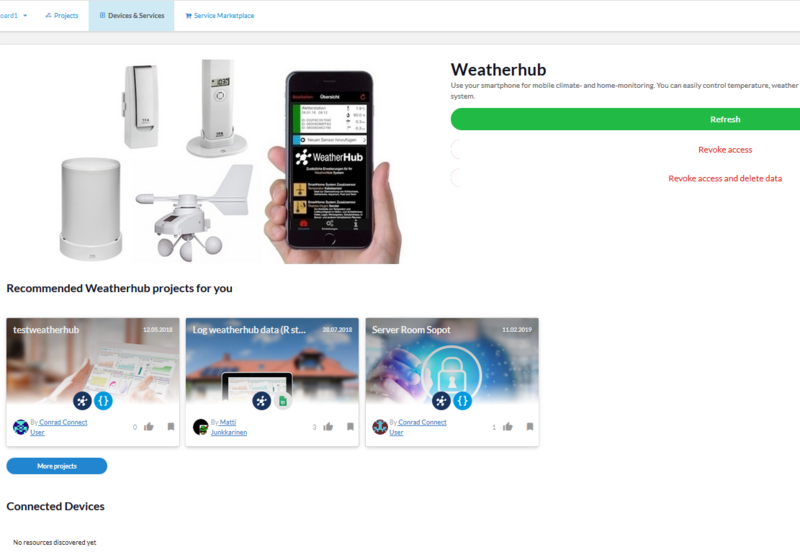 The problem is that I can't add the Weatherhub device to my project. And have you checked Bernd's remark? Which devices (Model No) and device type did you connect? 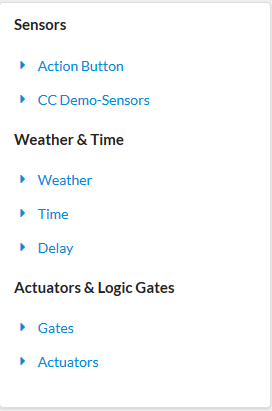 Could it be a bad configuration of my weatherhub gateway ? I think I was on a bad way, my device is BL-MA10000__Passerelle MOBILE-ALERTS. It is this device I have to connect, not a Weatherhub device. But with the Mobile-alerts it does not work too. It says "No resources discovered yet". I checked the phone ID, it seems to be the good one. Did someone connect MA10000 Mobile Alerts ? Hi @Irvin, my apologies, we couldn't help you so far. As for Mobile Alerts, please find compatible devices listed here. Hi @Irvin, the tech support team confirmed that the T303060 is not compatible with CC, the BL-MA10000__Passerelle, however, should most likely work. So the challenge is now to understand why the MA10000 gateway does't work. Maybe I should open a new discussion about that new issue ? Hi @Irvin, yes, let's open a new thread here!